Well I'm a little proud right now. Just shot a 597 37x at 600. 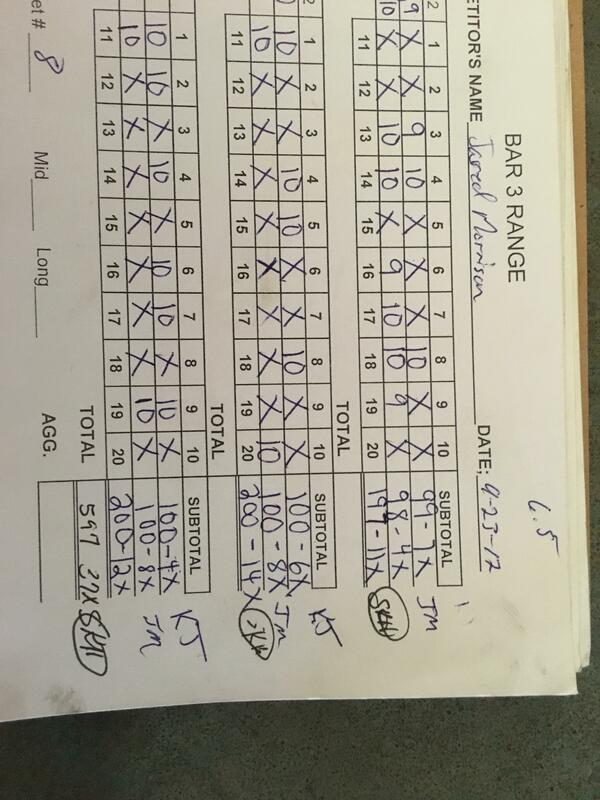 First time in the range history that someone from the FPR class has ever won the entire match. Felt pretty good out shooting guys running 12k rifles with 5k front rest. 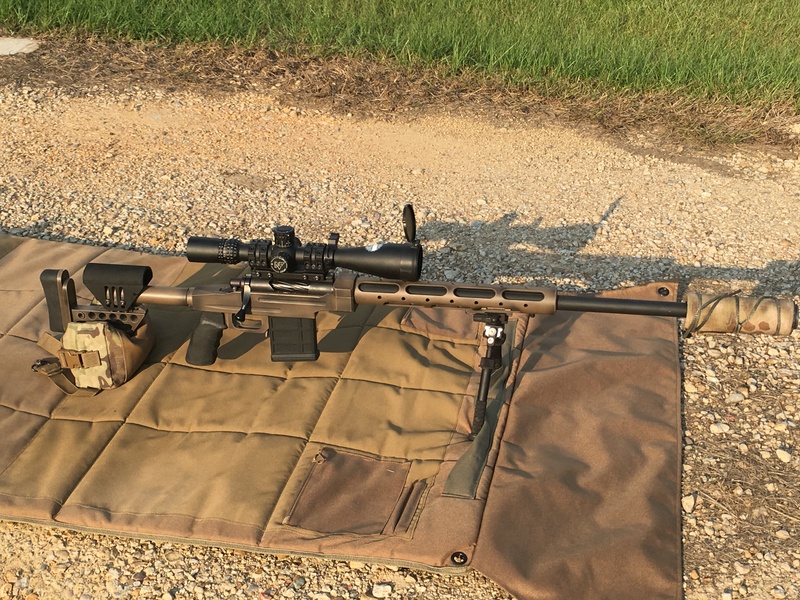 My rifle is set up for PRS and was shot off a atlas bipod and a rear squeeze bag. Both benchresters and belly benchresters are always quite perplexed when a guy with a bipod and rear bag plops down and stomps them. Surely you must have a picture of this rifle? Good looking set up. What suppressor is that? It is short. @bull81 Very nice work! Do you all shoot just the 600 yard F class or a Mid range 3-5 and 600? @bull81 You are fortunate to have that option. 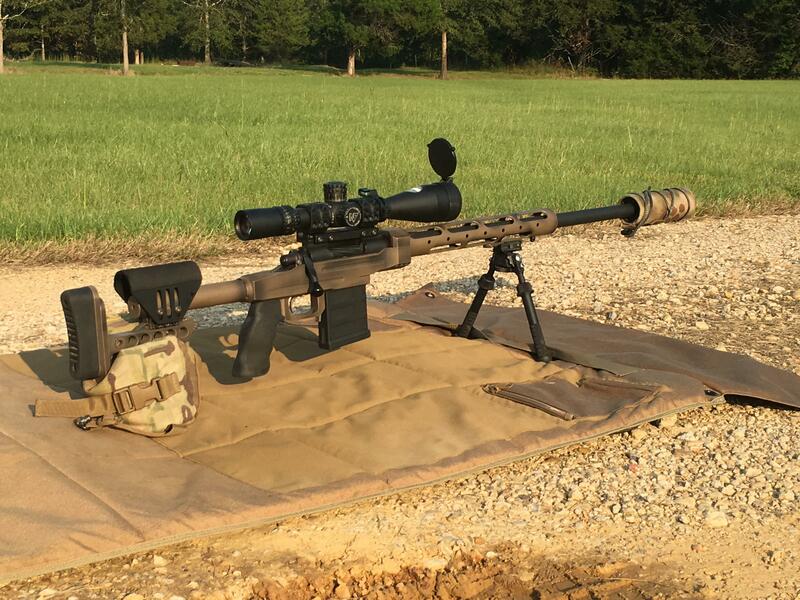 Our F class are limited to 600 yards and 5.56, 7.62 and 30-06 due to range restrictions. The next range over has a 1000 yard line but off limits. We usually shoot a 3-5 and 600 yard F class 450 or 600 aggregate. This year we put on a "Tactical Fun Match" of 3-5 and 600 yards shooting a standard B27.